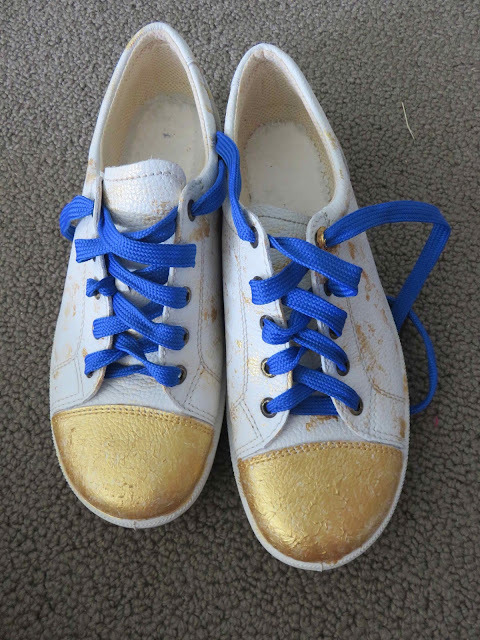 So ages ago I picked up some very 'nana sneakers' in an op-shop for $4. I figured I'd play around with painting them and see how it all unfolded. Gold acrylic paint + new blue shoelaces = done. Overall pretty pleased with the results for $4 and about 20 minutes (or less). What are you making this winter? You can follow the project and explore what other people are doing here. I may share some photos here as I go too. That's Not the Monster We Ordered by Richard Fairgray and Terry Jones arrived at our place recently. It's a great story about wanting what someone else has and then getting your own and it not living up to expectations. The illustrations perfectly compliment the narrative of the book - cartoon/ comic stripe style. It's a fun story, with plenty of laughs but it's also poignantly about realising what you have is actually probably what you really need and everyone else's grass might be greener but it isn't yours. Delightful. Great story for primary level and above. I'm really enjoying a year that is including so much more reading. 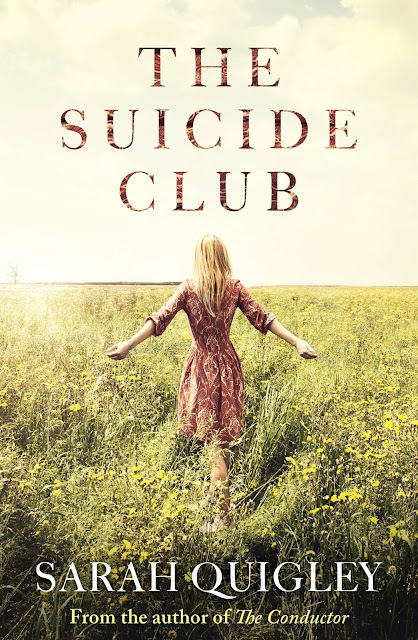 The latest novel I've finished is called The Suicide Club by Sarah Quigley. This was probably an unusual request for me given the title of the book. At the moment there seems to be some groundswell around how we best deal with what is definitely an issue - is it the final taboo? I'm not sure, but there are certainly difficulties around it. How do we address the issue of suicide without glorifying it, pointing fingers or making those with serious issues like depression feel worse? What are the answers for the 'average joe' (is there such a thing?) when journeying along side someone who is feeling suicidal? The book is a fictional novel about 3 brilliant young people who are all struggling with covert and overt issues. Through the story their paths cross and become entwined, whilst each of them face their own fears, their own battles, and their developing love for each other. Quigley states that the novel is for her and attempt to open the suicide discussion more and she has lost a friend to suicide. In the novel she has created a world of 3 very beautiful young lives, she has brought them to life and then takes us inside what it is to walk in their shoes. In doing this she certainly creates an atmosphere of compassion and empathy towards what is a real and massive struggle for many people. I found the book to be very moving and the emotional weight of the characters brought me to tears in the end. I would add it isn't a 'hopeful' book in terms of journeying with a suicidal person. It doesn't offer any sense of hope or strategies for helping a person who is or has attempted suicide... maybe the author didn't want to do any of these things. Because of this I would be very hesitant to recommend it to young people (it's billed for adults) and I would hold back making judgement on who else it may or may not be helpful/hopeful for... I would be interested to see how people who have journeyed through suicidal tendencies or attempts respond to this book - theirs is probably the best voice to make a thoughtful or meaningful statement in that regard. Quigley is an excellent writer, the narrative is engaging and there are some beautiful visual moments in the book. It may seem a lot but Lace knows every one of the books intimately: their covers, pages, pencil markings, turned-down corners. They're the only things that have stayed the same: words never change, no matter how long you're out of the room, and she loves them for this. So I think this is the end of retreat show n tell which is pretty good going really! 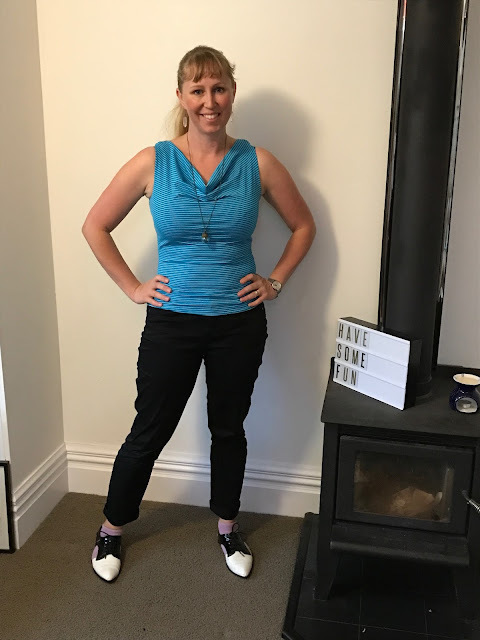 This top is another Simplicity 9626 but this time the cowl neck version. I made this one from SUPER stretchy fabric I have had for quite a while. 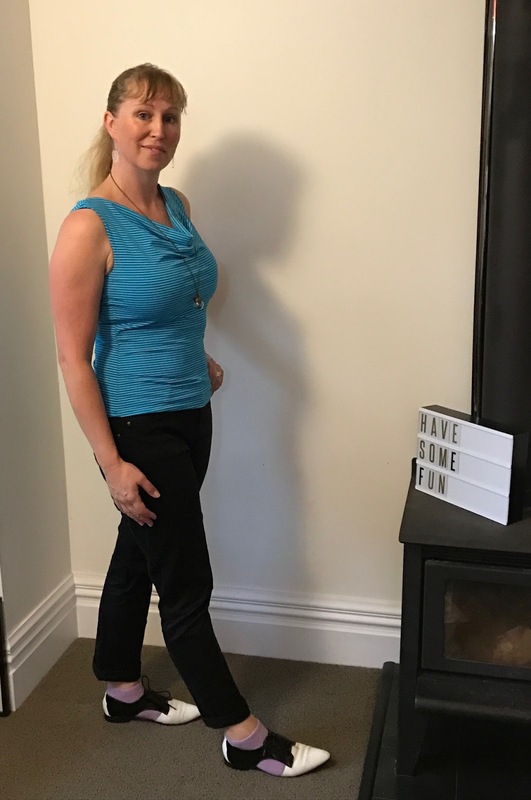 I really like cowl neck tops and I love this colour but I've since given this top away. :-( It was just too tight on me (I see you back rolls and I do not love you!) and it rolled up. I think if I'd gone up at least one size the problem might have sorted itself... I made the same size as the last Simplicity one which is fine but this fabric just clings to me like a five year old clinging to their mother after they've realised going to school wasn't just a once-off trip it's a for-life kind of arrangement. I have quite a bit of the turquoise fabric left so I may make another top from it... but not yet. Currently I'm trying not to fall off the wagon with my 100 day challenge. Two ticks but not enough to overshadow the misses. I always dream that my winter cooking will be filled with slow-cooked meals prepared the night before and delivered with a sweet relaxed atmosphere. We can all dream right?! I do love the concept though of the night before prep or the first thing in the morning activity. Dinner times are so much more enjoyable when all the work has been done prior. So, I was quick to request a copy of Allyson Gofton's latest book Slow Cooked featuring slow cooker recipes that can also be created with slow cooking in a regular oven. The book includes a very comprehensive basics section which looks at meat types, cuts, thickening and rescuing disasters (another feature to appreciate). Recipes are divided into meat types or vegetarian, there is a section on stocks and soups and a very large collection of recipes for slow oven cooking as well. 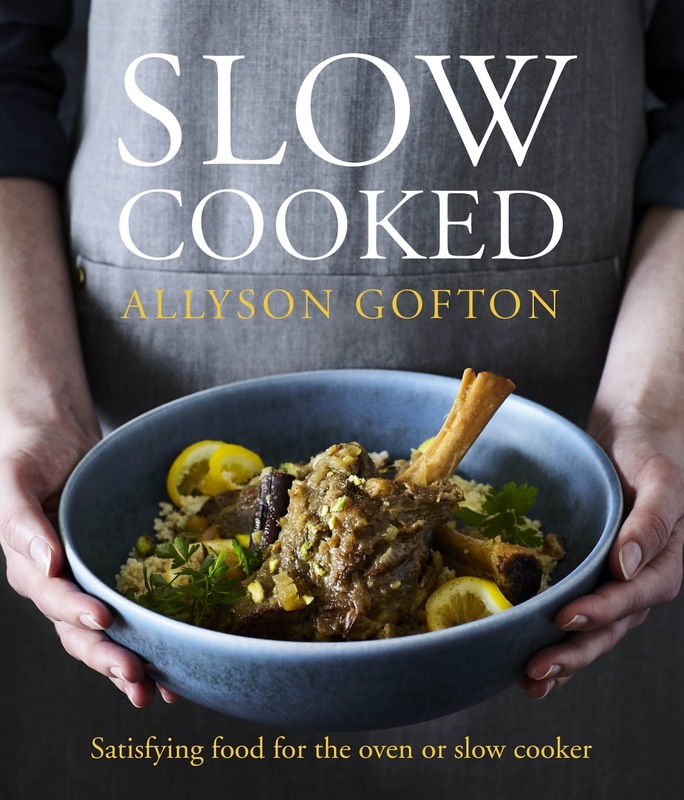 The recipes I've tried so far have been a success, and although I've needed to source some new-to-me ingredients, I have loved the fact that there isn't a long process to go through before the ingredients are doing their own thing in the slow cooker. For me the charm and magic of the slow cooker is that you can throw it together in 20 minutes in the morning and eat it when you all roll in cold on a winter's evening. What are you eating over autumn and winter? I'm still going on the retreat sewing which has to be a win right? This top was whipped up (2 pattern pieces, thank you!) 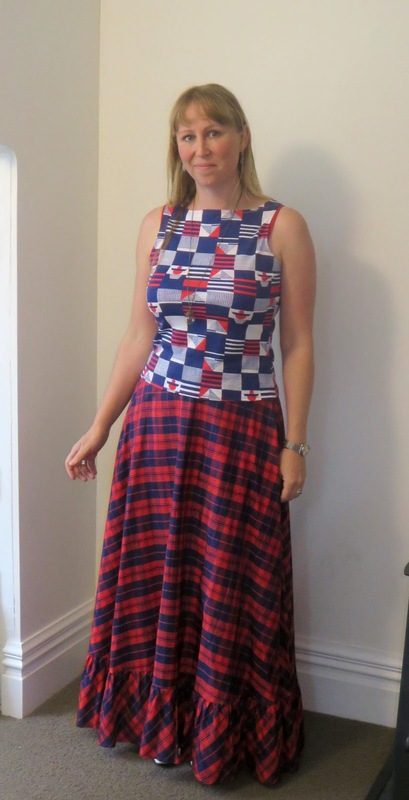 from Simplicity 9626 a pattern I've had for ages. 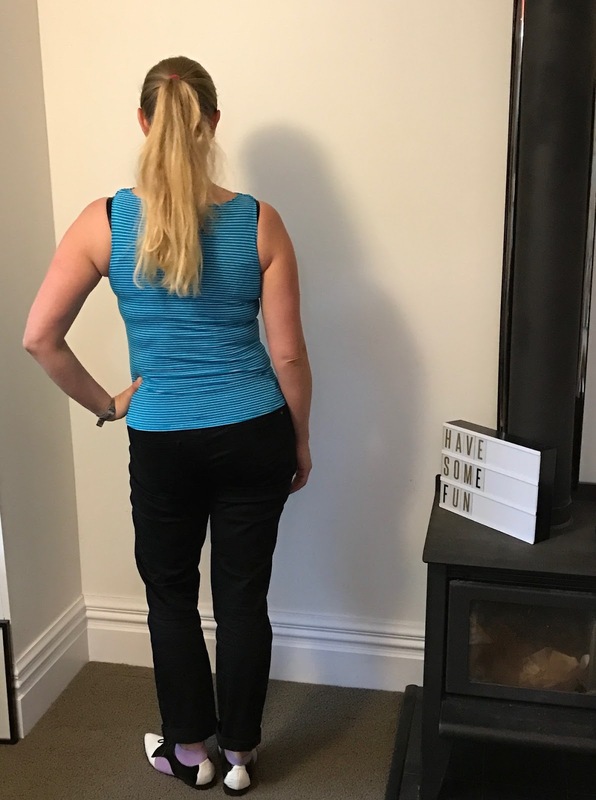 Being a soft cottony stretch it's very easy to wear and I'm always in need of 'decent' sleeveless tops in my wardrobe. Because it's stretch this top is a cinch to throw together and requires no more than the fabric and thread - it's self-facing which means from go to wear in less than an hour I think. Shoes - white Dr Marten boots - which I love and The Atlas feels questionable about! Jewellery - Necklace handmade in Wtgn, rings handmade in Palmerston North (engagement and wedding ring) and hand made in Napier (measuring tape ring), watch - Dr Suess a gift for my 21st. What tops work hardest in your wardrobe? Truth be told I've never been much of a science lover - people are more my jam and I just don't really geek out on science the way I do on art history. 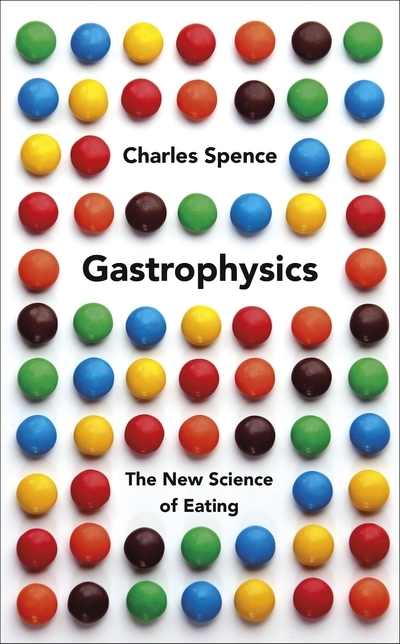 So when I saw the title Gastrophysics and some of the fun facts I thought, yeah I'll give that a whirl. Written by Professor Charles Spence my main trepidation in requesting the book was how readable it would be. Fears allayed it's a totally readable book. The chapters are short and the book is very well researched. Almost a third of the book is given over to notes! The book is full to bursting with interesting facts like the fact that what we smell while eating is interpreted as taste on our tastebuds, the decor of a room can influence the sweetness or woodiness ... of what we eat or drink, that even when people know they are being experimented on in regards to taste their brains will still fool them with tastes/sensations, one of the problems with airline food is actually the sounds of the aircraft - so you should sit as far away from the engines as possible and take some noise cancelling headphones with you to help!, coloured plates help hospital and dementia patients to eat more ... and so much more. A perfect book for foodies, science nerds, people who love to entertain and restaurant or cafe owners who are all about enhancing their guests experiences and any intersection of those. I used a couple of fat quarters and some spare strips of fabric along with some bias binding to whip these up for my flat mates of many moons ago (like 19 years) whom I caught up with recently. I also velcroed the pocket in the centre so the pegs are unlikely to fall out when bending for washing. 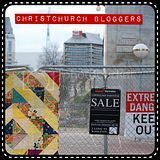 In truth I used fat quarters I didn't like, do you ever find yourself looking at fabric you purchased and asking yourself what you were thinking? But I feel better about using them up and not having to look at them in the sewing room so that's something right? 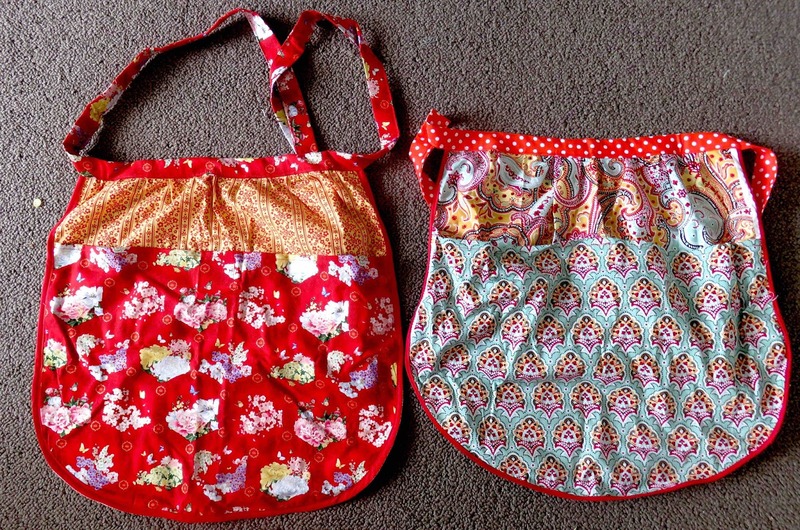 I think it would be worth my while using up some more languishing fat quarters on these some rainy day, so that I may pass the peg pinny love on to my friends as they celebrate birthdays. 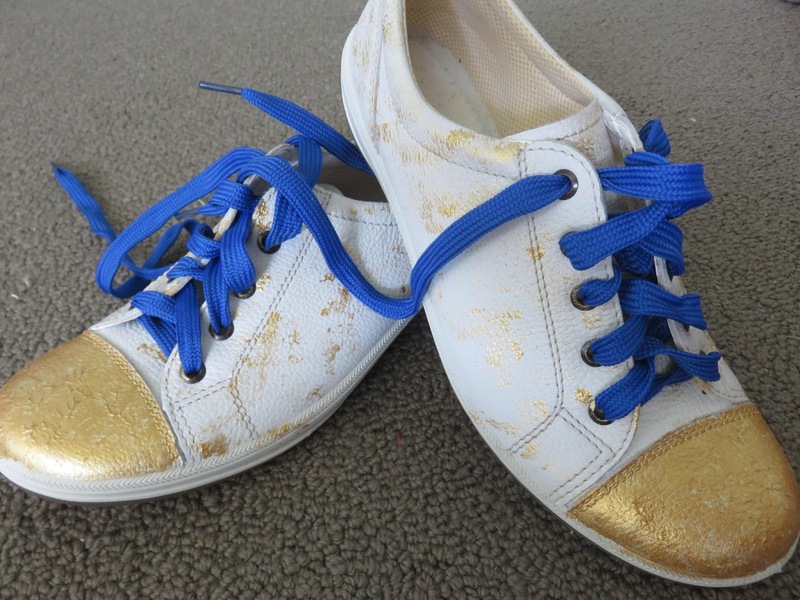 ps - said flat mates - I haven't actually posted these to you yet, but I am thinking about it!!! I'm reviewing a book we got sent recently that I really enjoyed reading. 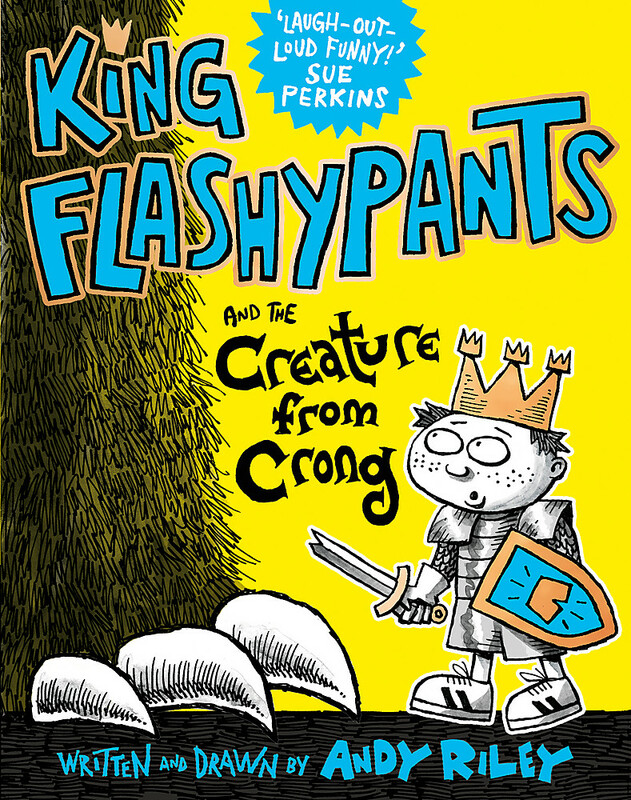 The book is called King Flashypants and the Creature From Crong by Andy Riley. In the book King Edwin is ruling over the land and then Minister Jill says everyone should eat vegetables but all the people like lollies instead. Megan the Jester and King Edwin are forced to eat their vegetables but they don't want to do it. Then Baxter the Hermit came and told them there was a voolith coming. So, King Edwin said he will defeat the voolith. To do this he has to do single combat with the voolith but he has another enemy too, Emperor Nurbison of Nurbisonia. EN wants to get the voolith to destroy Edwinland. Things I liked about this book were when the voolith trampled all over the sweet shops in Edwinland and when the voolith's eye got hit with a windmill. The pictures in the book are really good. My favourite one is when the rabbit is watching him shout at the golf ball. This book would be able to read by 7 year olds and maybe 6 year olds if they are good readers. Overall I thought this was a really great and funny book. Details - Hachette, NZ February 2017. $17.99 also available as an ebook. When I saw that Julia Donaldson had a new picture book I was really keen to read it. Donaldson is a great storyteller and has such a skill with rhyme. (One of my pet hates in rhyming books is when the story is weakened to make the words rhyme or when the words aren't phrased properly or the rhymes are weak or clearly an 'only option'). 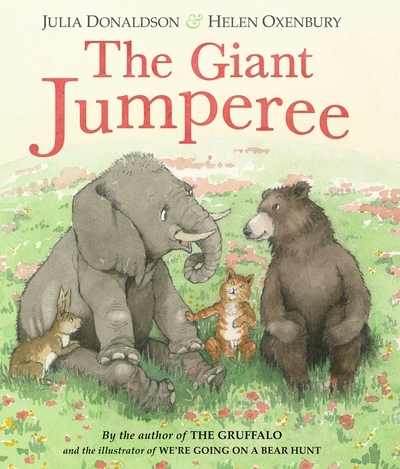 The Giant Jumperee is clearly a story for the toddlers in the bunch. It gorgeously captures the stage of life when one-up-man-ship is a natural state of being and mama knows all. 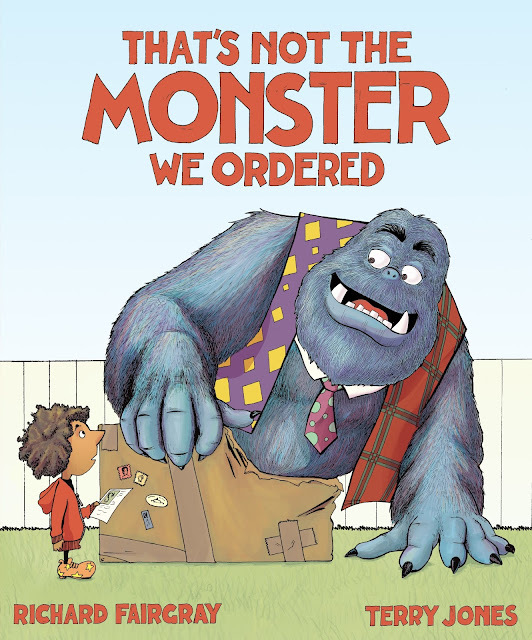 I can see it being a great family book that will encourage rhyming together and imaginative play. As a departure the book is not only in rhyme but switches between. Helen Oxenbury is the illustrator and I think her style is a perfect choice for this book. Donaldson's books have been paired with various illustrators and I think it's a really important element in terms of their overall success. A gorgeous, funny, happy text that will be a firm favourites with little 'giant' jumperees everywhere. 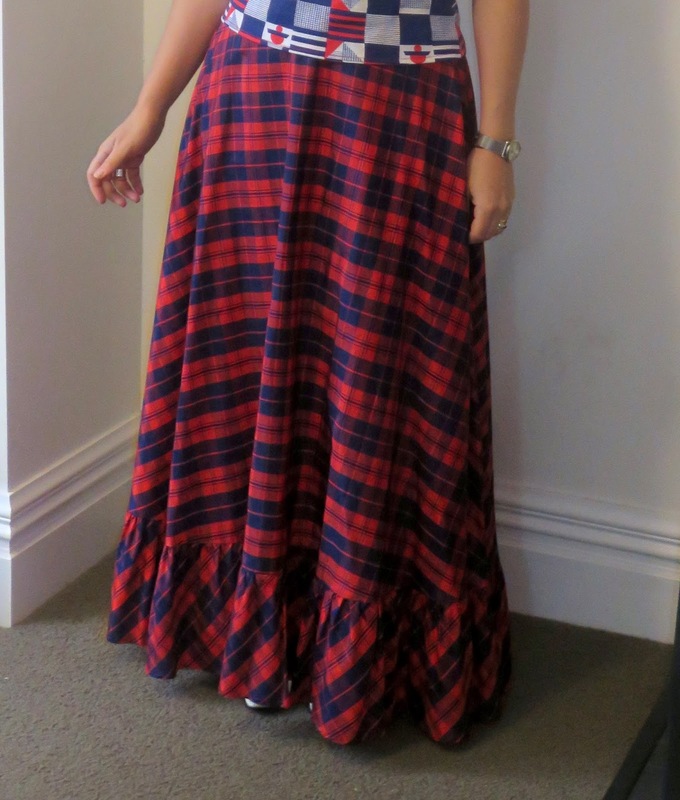 One of my retreat sewing projects was simply removing the waistband from a skirt that I bought in an op-shop that had a waistband that was too tight. I think the skirt cost me about $10 plus a couple of dollars worth of bias binding. So good! 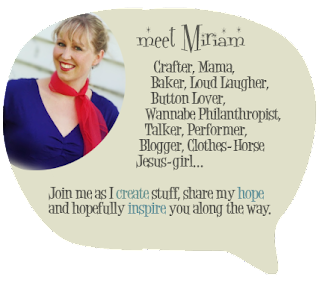 What quick transformations are happening in your world right now?